Before playing AC/DC’s latest offering, certain inevitable questions linger at the forefront of the mind: Will the band’s sound and direction suffer without the input and guitar work of its former creative force Malcolm Young? Is Phil Rudd’s nascent mania discernable through his kick drum? 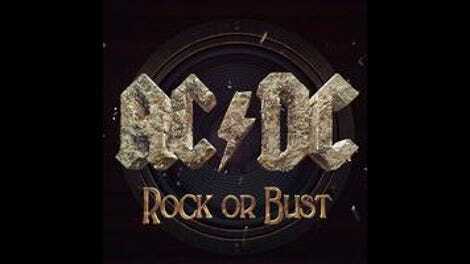 And, after 40 years together, does AC/DC have anything new to offer to the masses? A little more than 30 minutes later, and all these concerns are answered: Yes, to an extent. No, that’s ridiculous. And not really, but that’s never really mattered before. At its core, the new record has a “batten down the hatches” aura about it, as if in the studio everyone came together and agreed that when you have a discernible identity, one that’s gotten you to the top, why mess with it? What Rock Or Bust lacks in ingenuity, however, it makes up for in perplexingly fresh familiarity. At certain junctures “Miss Adventure” harkens back to “Thunderstruck” with its ample use of the familiar “nah, nah, nah, nahs.” The paced descending riff of the title track stands as a second cousin once-removed from the band’s biggest hit, “Back In Black.” And, per usual, the lyrical content never strays too far from themes like rocking houses, rocking away a set of feelings, or the sheer possession of the ability to rock. Sure, at times it comes across as a bit old-hat, but you also don’t go to a Cavs game to watch LeBron James play strict defense. All these years later, AC/DC is still able to deliver on the simple, singular promise embedded into the very fabric of its makeup as a band—they do, indeed, rock. Nothing more, nothing less. 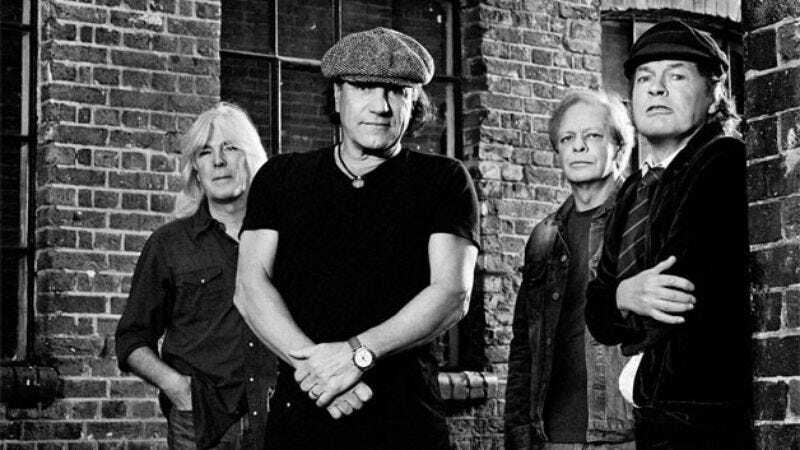 For all the tumult the band has undergone in the past year, on Rock Or Bust the rhythm section keeps it tight and heavy, singer Brian Johnson is still wailing like a saber-toothed tiger with a four-pack-a-day habit, and Angus Young is still one of the greatest lead guitar players on the planet. Together, they remain who they’ve always been.